Backyard Studios is more than just a company of designers and developers. We’re a company of creative individuals who are always looking for a new challenge to inspire us. We look at the world around us with a keen eye so we can help your business reach its maximum potential. We’re enthusiastic about the newest action figures and we probably know too much about movies. It’s that same energy that motivates us to deliver amazing pieces, whether it’s a business card or a multilevel website. We’re here to create the tools that will set our clients apart from the competition. We get to know our clients on a personal level. If we don’t know you, how can we create something that best fits your needs? How can we make you successful if we don’t know what your goals are? At other agencies, the people who work on a project aren’t the same people who you speak with. When you talk to us, you’re talking to the people who are actively working on your project. Backyard Studios was started in 2002 by Cameron Brooks. We’ve grown substantially over the years and we’ve won ADDY Awards for creating the best websites in San Antonio, Texas. 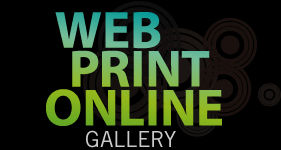 Our pride is in our website design, our print design and our online marketing. Our goal is to get our clients the absolute best design at the best possible price. We have the experience and knowledge to know what needs to be done from start to finish. …with Cameron's extensive knowledge and experience he took my ideas and turned them into a set of marketing tools that have greatly increased my exposure to potential customers.